Smoothies, Slippy Mud and Safety! at Sandford St. Martin's Primary School. Follow us @SandfordPrimary! Smoothies, Slippy Mud and Safety! Phase 2 have had a really exciting start to the Spring Term; so far we’ve had a Healthy Eating Day, a visit to the New School Site and Year 2 went to Streetwise Safety Centre. 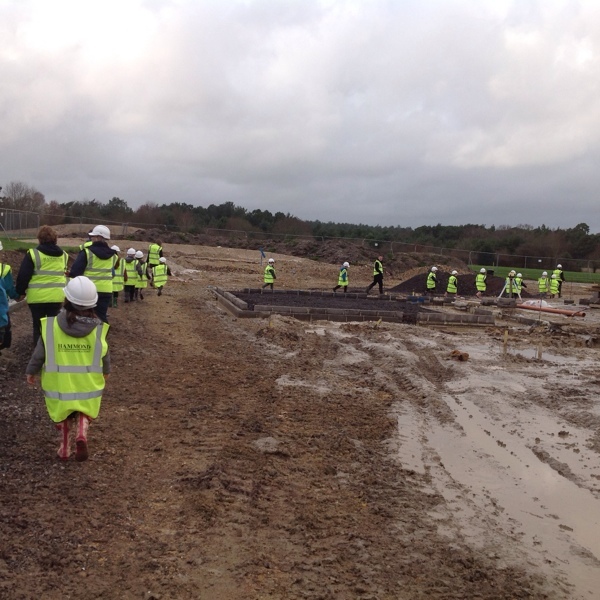 On a sunny but cold afternoon we excitedly put on our wellies and coats and then marched across the playground to meet the building site manager. To add to the excitement of wearing our wellies, we then had to put on fluorescent yellow jackets and hard hats before we could enter the building site. Barry then led us around the site and explained where the different parts of the school were going to be built. Although, we had our wellies on, we couldn’t jump in the puddles as some of them would have gone up to our waists! We then had another day full of excitement and fun when Sally, a food nutritionist came in to visit us. We began by making delicious smoothies where we had to guess the ingredients, they were yummy! Next, we did an activity that helped us to learn more about the food groups and how to eat more healthy. We had to sort pictures against a timer, there were pictures everywhere! To finish our first session with Sally, we tried a piece of healthy cake that many of us are going to have a go at making as it was so tasty! In the afternoon, we started with some more food tasting. This time it was sunflower seeds that had been fried and mixed with soy sauce. Again, it was another great snack and so easy to make. Finally, it was time for our last activity but it was certainly worth waiting for. 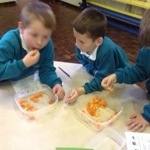 We were given a challenge to taste 10 different fruits and we had to write down what we thought they were, as well as describing the taste, texture, colour and appearance. The strangest fruit was a dried date, especially when a few believed Mrs Bolar when she said they were dried cockroaches! Sally ended the day by explaining what the fruits were and where they had come from. We also got copies of all the recipes from today, happy cooking! 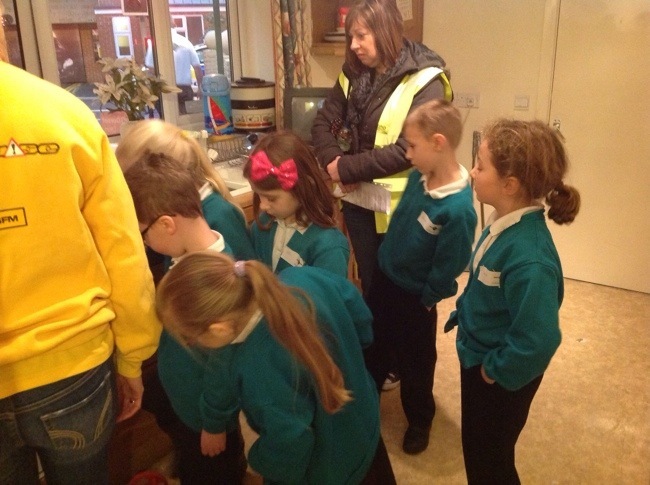 Year 2 came back to school full of good ideas after their visit to Streetwise Safety Centre. They were able to share their experiences with Year 3’s as well as jogging Year 3’s memories about safety in the park, on the road, at a train station, in a house and wearing a safety helmet when on our bikes. Ask someone in Year 2 to explain why our head is like an egg! So now it’s time to begin the second half of our Spring Term. Will things be as exciting for Phase 2 this half term? There are rumours that a dental nurse is coming in to help us with our science, a trading standards officer to explain to us the the labels on food packets and I’m sure I heard something about a Fish and Chip quiz night! Also of course we will have our Phase 2 exhibition on the Thursday 22nd March, where I hear the parents are in for a delicious treat! What fun we have in Phase 2!!! !